"Class Reunion". Don't let this mild mannered sleeper fool you. It's full of "Muscle" and I'm known to use it. So any of you Mustang's out there see me on the street, just say hello! They didn't make them like this one in 1965, a few performance parts, technology the right set up makes for a Wolf in Sheep's clothing. 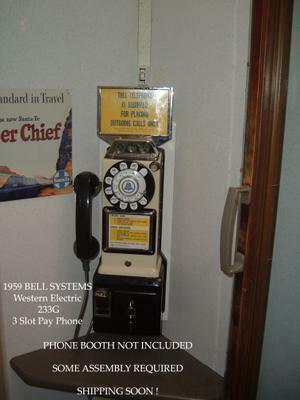 Remember when you could sit down and make a call in "private". I'm sure many of you remember the Phone Booth, now it's like, well I carry one in my pocket! You just can't stick gum on the shelf! Most likely you don't even carry change to make a call, the credit card pays for it. 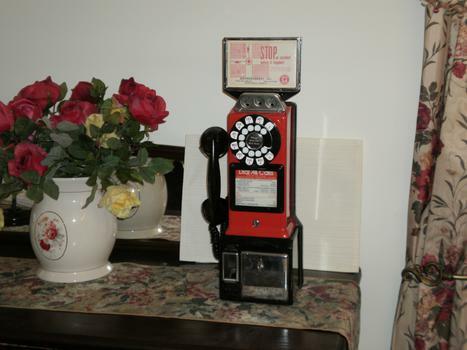 Yea, we installed one in the our house, it's a working 1949 Western Electric 3 Slot Pay Phone. The sound quality is very different than the Digital phones of today. Very nice...brings back fond memories. 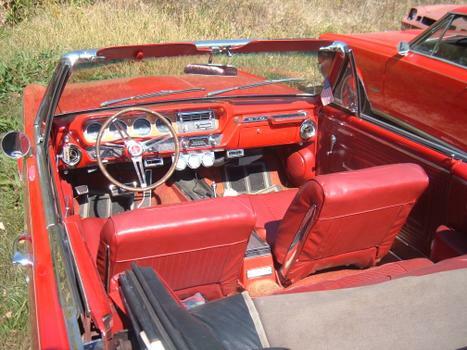 My first car was a '64 Goat 389 / 3x2s / 4 speed . I like the mods you've done to your car. Beautiful ride and a screamer, Donna. Had a "Mighty GTO" back in the 60's, Tripower, 4 yanker and a nice tight gear. 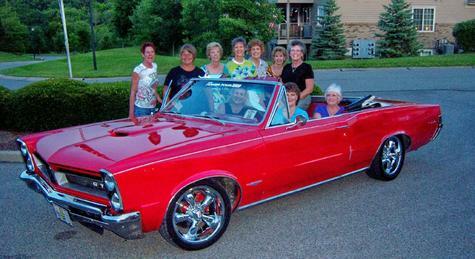 Really looks good Nonnie I like riding in it Eddie mcintosh.